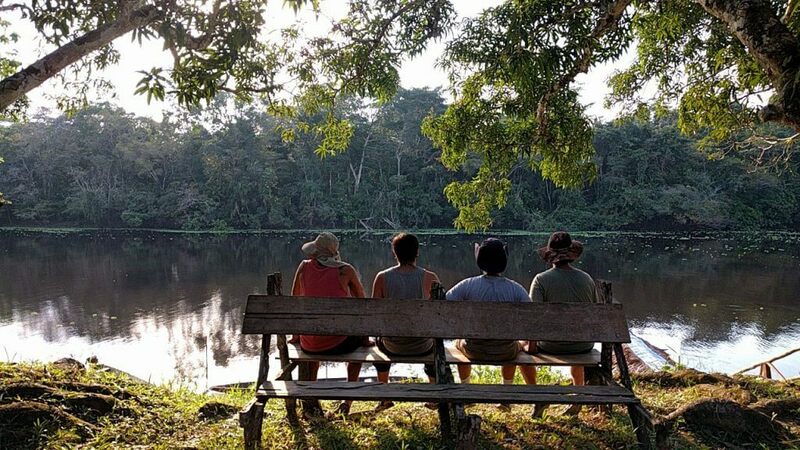 Iquitos Worldwide During July and August of 2018, we partnered with Neon Gang, one of our favorites disruptive video producers, to showcase the people, landscapes and wildlife of the beautiful city of Iquitos. We didn’t want to cover it in a traditional way, so we decided to give it a wild twist. 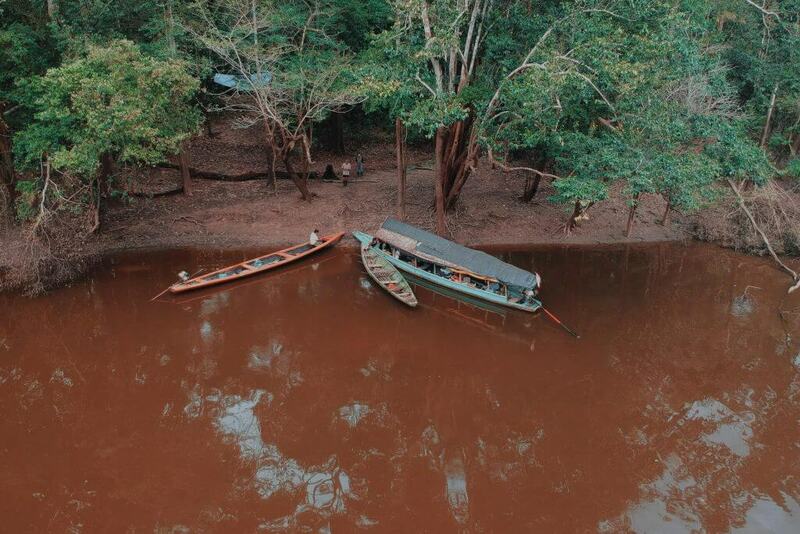 Immerse yourself into the Amazon Jungle, the way we see it, with this teaser video: Chapters 1 and 2 will be released soon and both will cover different sides of Iquitos: The city and the jungle. Stay tuned for the release, and be prepared to experience the Amazon jungle in front row, uncensored and with a lot of style. And remember, stay wild! 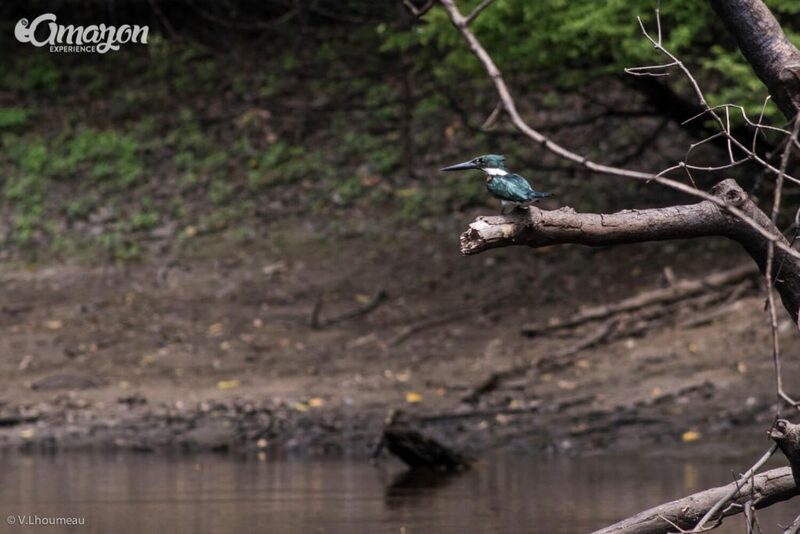 During July and August of 2018, we partnered with Neon Gang, one of our favorites disruptive video producers, to showcase the people, landscapes and wildlife of the beautiful city of Iquitos. We didn’t want to cover it in a traditional way, so we decided to give it a wild twist. 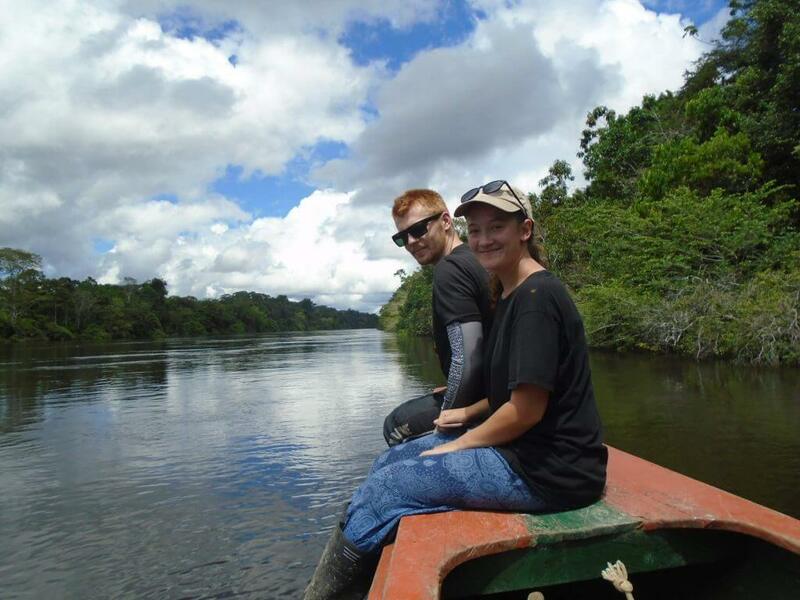 Chapters 1 and 2 will be released soon and both will cover different sides of Iquitos: The city and the jungle. Stay tuned for the release, and be prepared to experience the Amazon jungle in front row, uncensored and with a lot of style. Last week LATAM Airlines Peru inaugurated its direct flight from Cusco to Iquitos (or vice versa), with a promotional fare, starting at 45 USD one way. This flight will run 3 times a week on Mondays, Wednesdays and Saturdays, and it’s part of LATAM’s plan to decentralize commercial air operations in Peru. 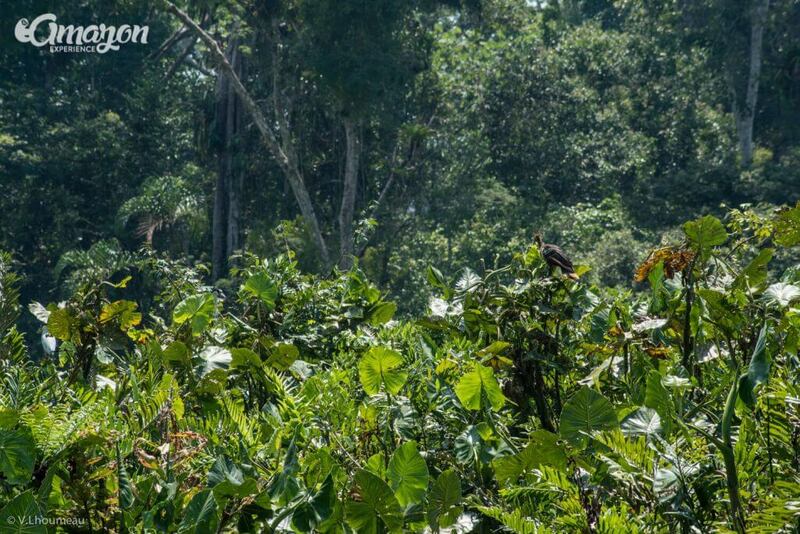 There are rumors of possible direct flights from Brasil and Argentina to arrive directly at Iquitos during 2018 or 2019 but so far no official statement on this. 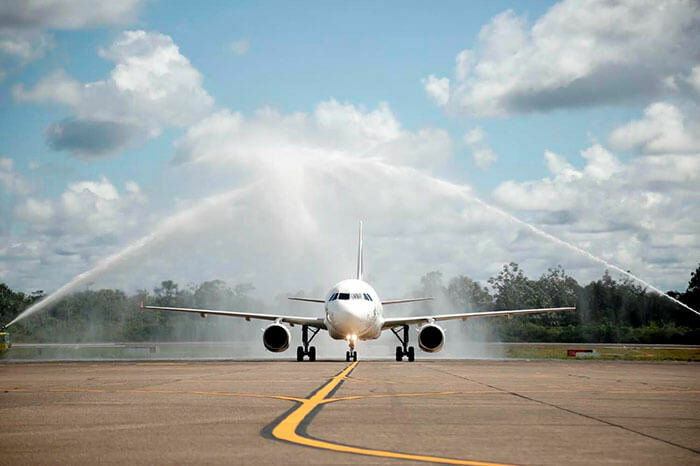 On July 2th, upon arriving at the Coronel FAP International Airport, the flight was received by the “Cruce de Aguas”, baptizing the first flight, welcoming the guests as well as city authorities. Flight being received with water crossings. Image courtesy of tnews. This direct flight it is expected to transport more than 7,000 passengers between July and November. Timetables. Image courtesy of tnews. 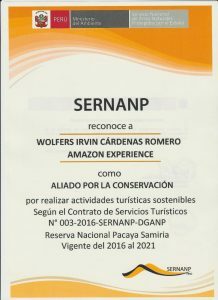 If you are heading Cusco, now you can consider coming to the Amazon Jungle without stops. Just on a single hop. We have been awarded Certificate of Excellence 2018 by TripAdvisor! Hello wild people! The Amazon Experience team is happy, very happy. And it’s all thanks to you, the travelers. This week we were contacted by TripAdvisor with great news for us. We have been awarded the Certificate of Excellence 2018! You can check our profile here. With over 90 reviews there (and many more on Facebook, Google, in our physical notepad inside the office and other places), we feel very grateful towards all of you. What motivate us it’s your constant feedback in how to do things better, your words of kindness and appreciation, your recommendations, your understanding when we screw up something and your encouragement to keep us going with this dream we had, about how to do things differently for the better, regarding tourism in the Amazon rainforest. We have big plans to continue the development of a tourism business that cares for the travelers as friends and visitors, for the local community, for our team and, especially, for nature and the environment. Thanks for allowing us to do what we love. Big hug to all of you. And remember… Stay wild! The Amazon Experience team is happy, very happy. And it’s all thanks to you, the travelers. This week we were contacted by TripAdvisor with great news for us. We have been awarded the Certificate of Excellence 2018! You can check our profile here. With over 90 reviews there (and many more on Facebook, Google, in our physical notepad inside the office and other places), we feel very grateful towards all of you. What motivate us it’s your constant feedback in how to do things better, your words of kindness and appreciation, your recommendations, your understanding when we screw up something and your encouragement to keep us going with this dream we had, about how to do things differently for the better, regarding tourism in the Amazon rainforest. 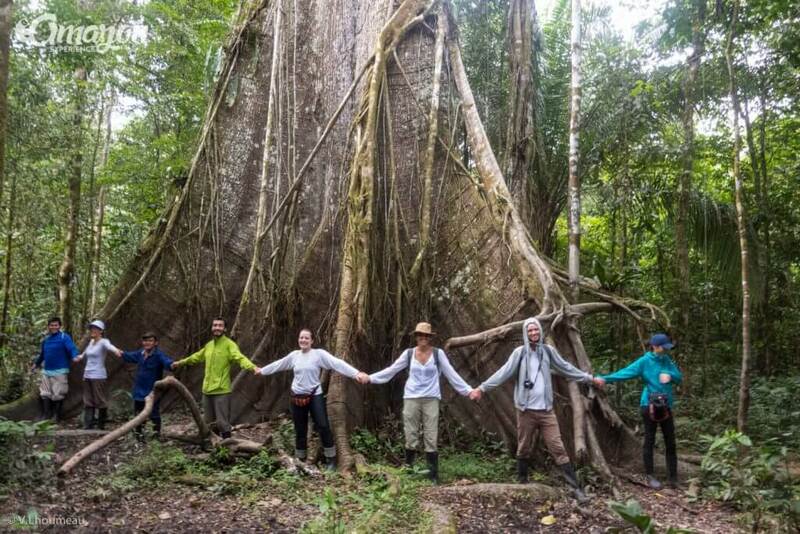 We have big plans to continue the development of a tourism business that cares for the travelers as friends and visitors, for the local community, for our team and, especially, for nature and the environment. Thanks for allowing us to do what we love. Big hug to all of you. 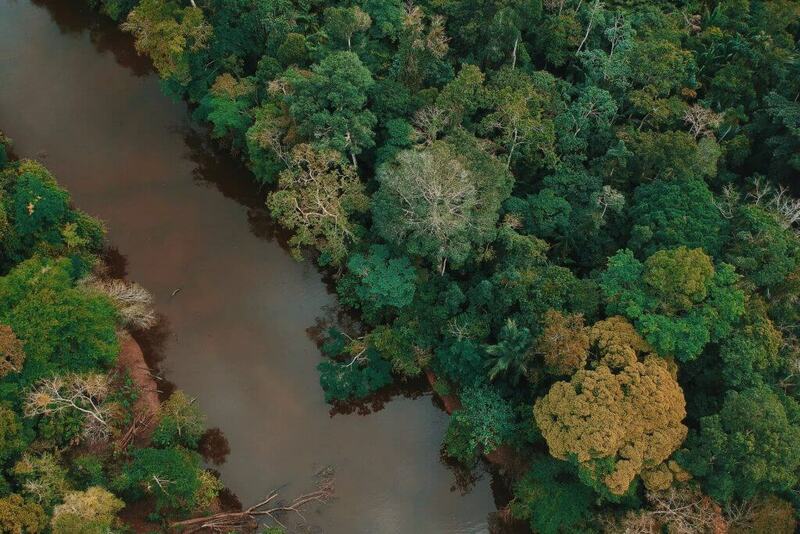 How do people live in the Amazon rainforest? 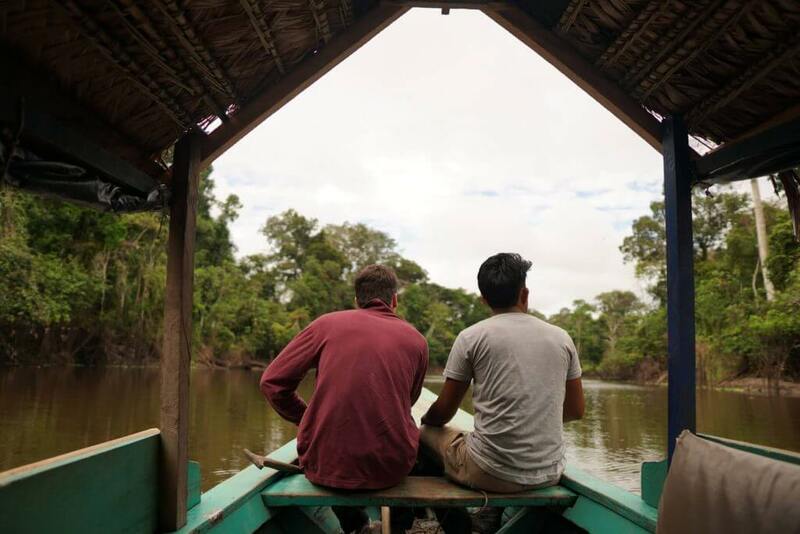 What it’s like to live in the Amazon jungle? 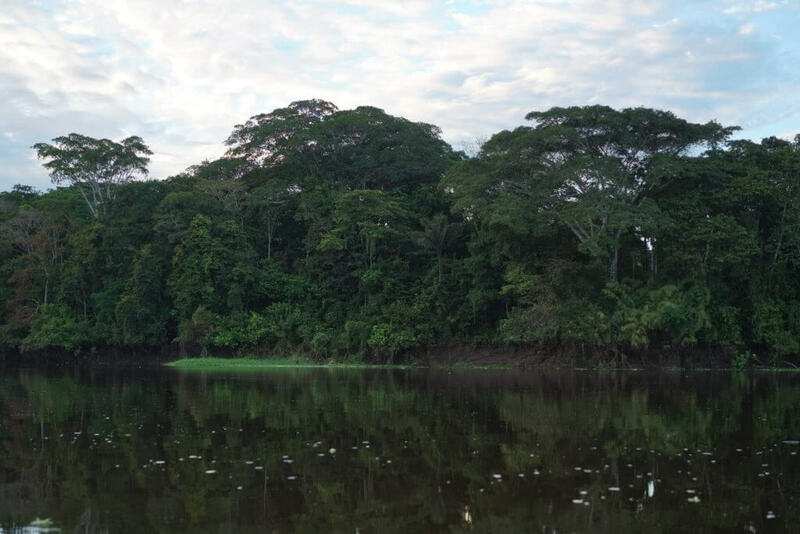 On March, 2017 we went to Santa Maria de Fatima community, located in the Amazon river and we talked with Don Julio to share how Amazon rainforest people live. 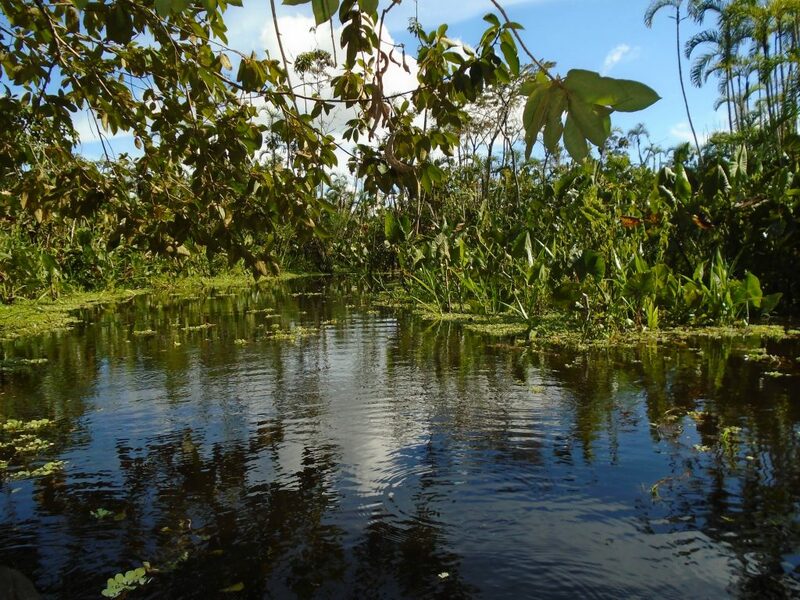 Don Julio is part of a group within the community that is in charge of developing this area in the context of sustainable ecotourism. He shared some insights with us in how people live in his community. My name is Julio Cahuachi Sanda. How long have you been living in the Santa Maria de Fatima community? I’ve been living here my whole life, since 1950, the year I was born. I’ve lived my childhood, when i was young and, well, now I’m an elder. I’m permanently here, I haven’t been out that much, just to work in some other places. Mostly I dedicate myself to my community. I work permanently with my group, we are about 20 people working in this paradise -I’m going to just call it like that, he says-. 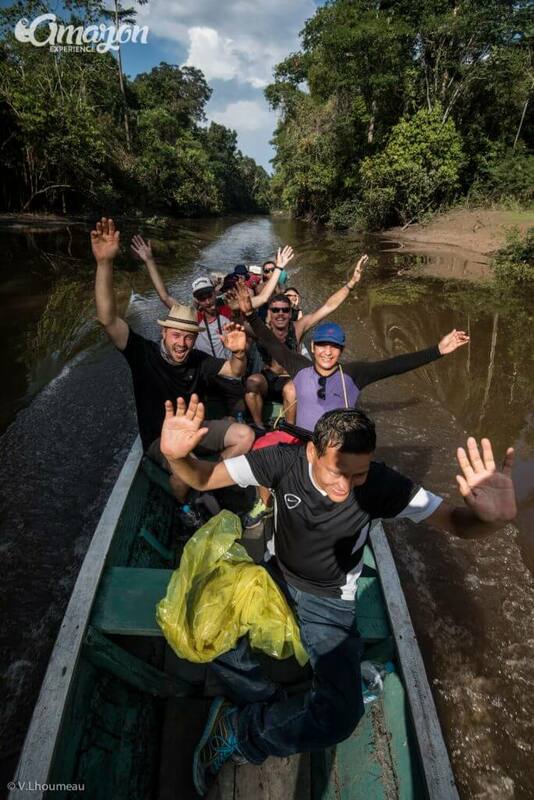 We have an environmental conservation area and we love that our tourist friends visit us and go deep into the Amazon jungle. 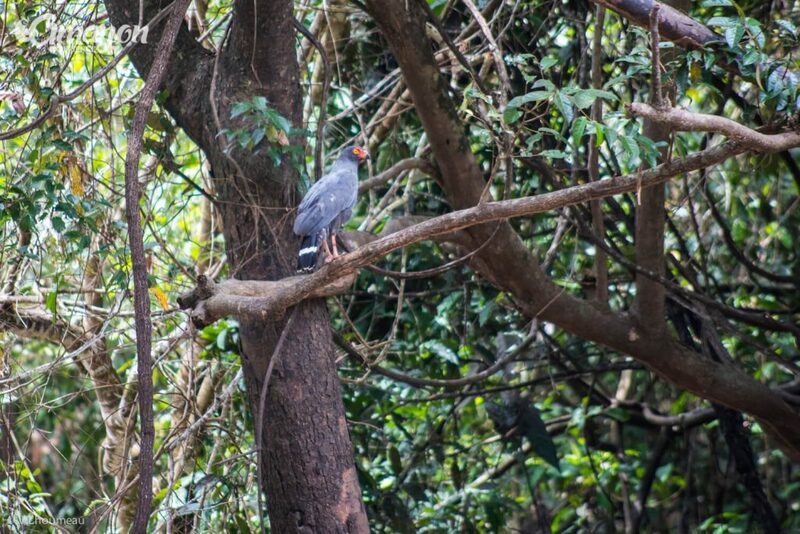 Usually they enter in the afternoon and they come back in the morning after staying in the jungle. Which animals can we find in the surroundings of Santa Maria de Fatima? 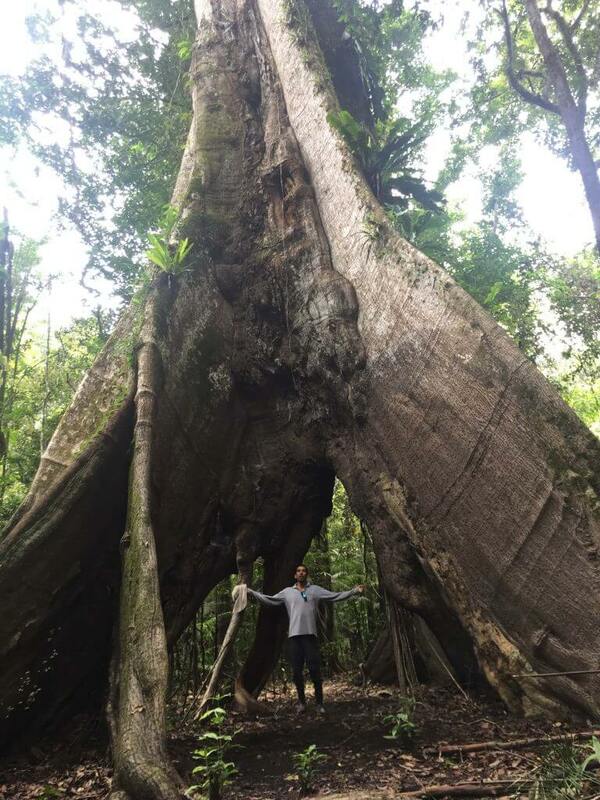 The jungle here is really charming. Many times you find animals like monkeys. 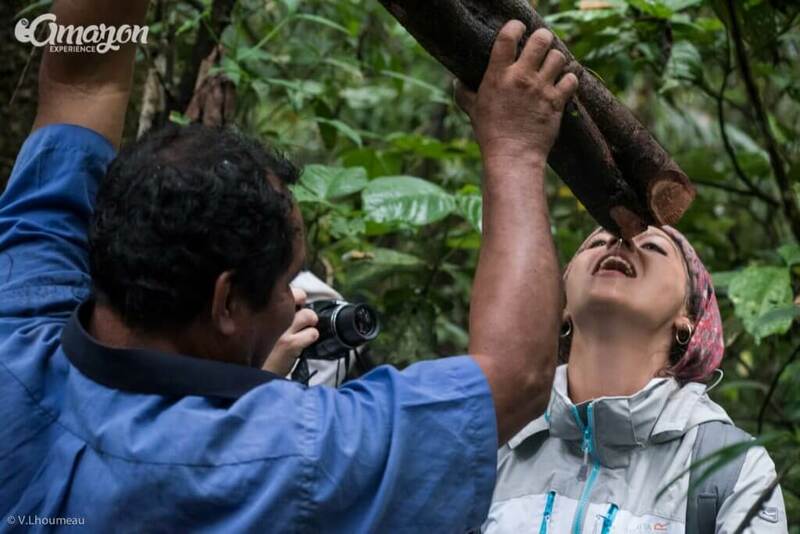 We have 2 types here, the mono ardilla (squirrel monkey) and the cervecerita (pichico pardo, saddle back tamarin), that has a white mouth. 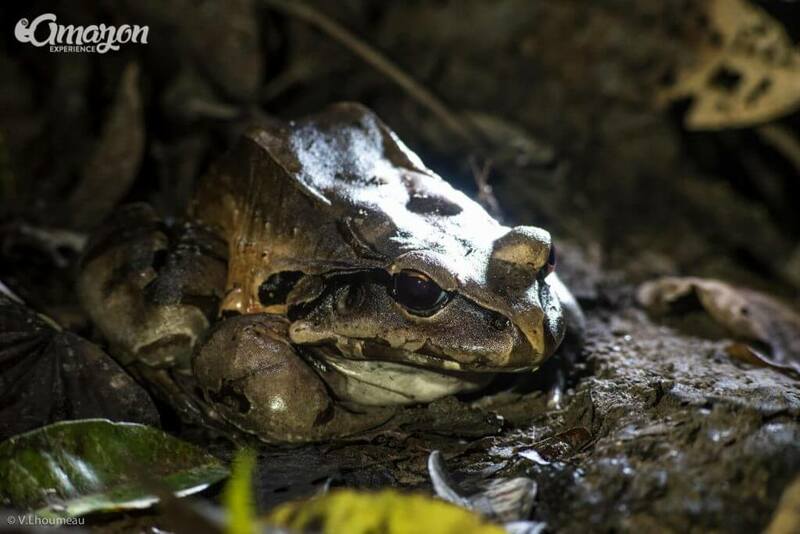 By night while walking you can find snakes in some ocassions, frogs like the sapo hualo and others. Of the birds you can see here, the Herons are the most known? Yes, the herons and the shansho (hoatzin). In the season you can find snowy egrett (garza blanca), white and brown boat billed herons (huapapa blanca y huapapa marron) and others. 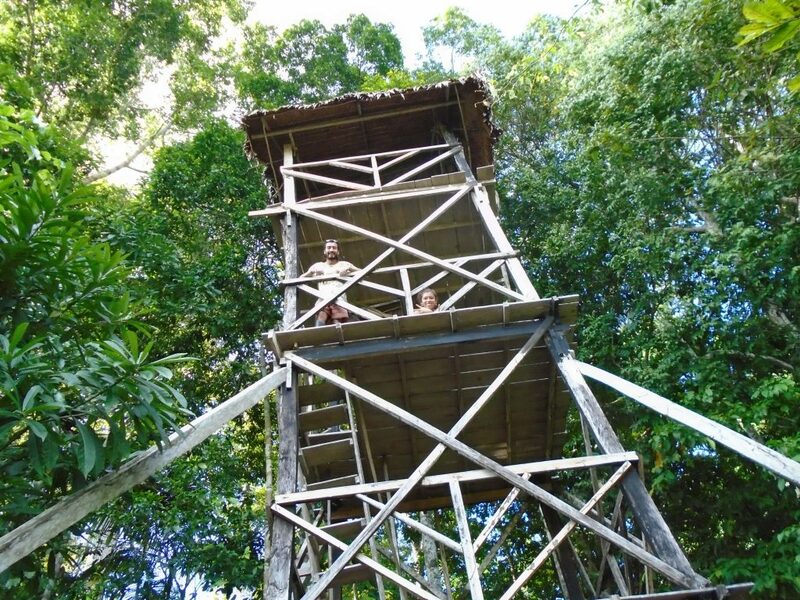 3 floor wooden tower. Built by the community to enjoy the landscape and look for herons. When it’s the best time for seeing Herons? The best season it’s from May until September. How many people live in Santa Maria de Fatima? In the community we are 65 families. 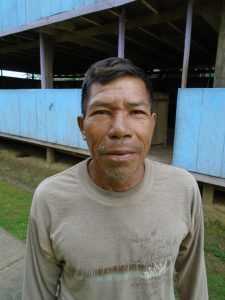 Older than 18 years are considered part of the community. Counting childs and adults we are 232 persons. Here the work we have is the agriculture and fishing. 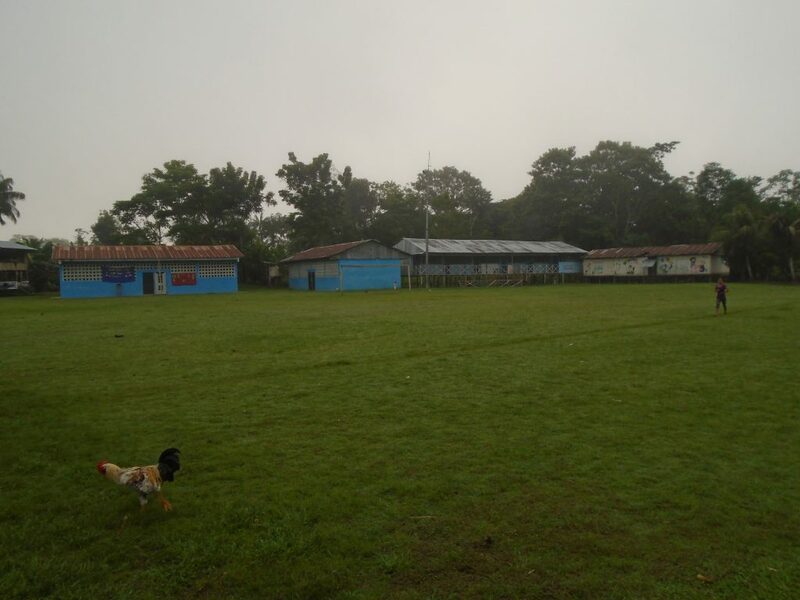 We sow so we can produce banana, yuca, corn and other vegetables. What do you like the most of living here? I like my community a lot. I love living here and that is why I stay here. What are the problems that your community has? We need many things here to improve. For example, an infrastructure to receive our friends that visit us like a community house, between other things that we have permanently delayed because we just can’t. Do you feel supported by the regional government? No. We belong to the Belen district but politically we belong to the Indiana district. In election times we go to Indiana, and to the Belen district, only 2 or 3 people go. For example, in front of my house, there are documents for making a new local building but that has been like that for 3 years. The thing is we don’t have support. What is the thing that visitors most like when they come? 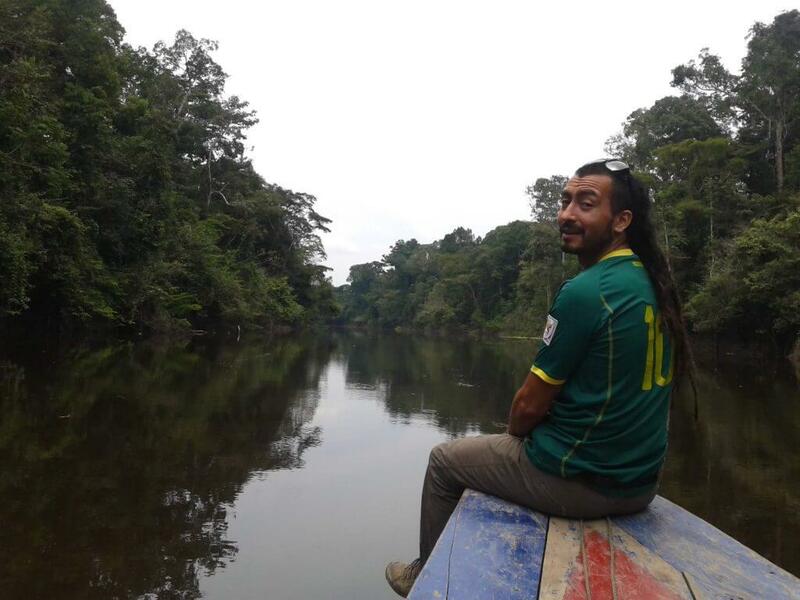 I’m one of the local guides, when the visitors come I come with them and show them the jungle. They say to me that this place is charming. What message would you like to give to the world, to the people who read this? Visit our community, we will be glad to welcome you. 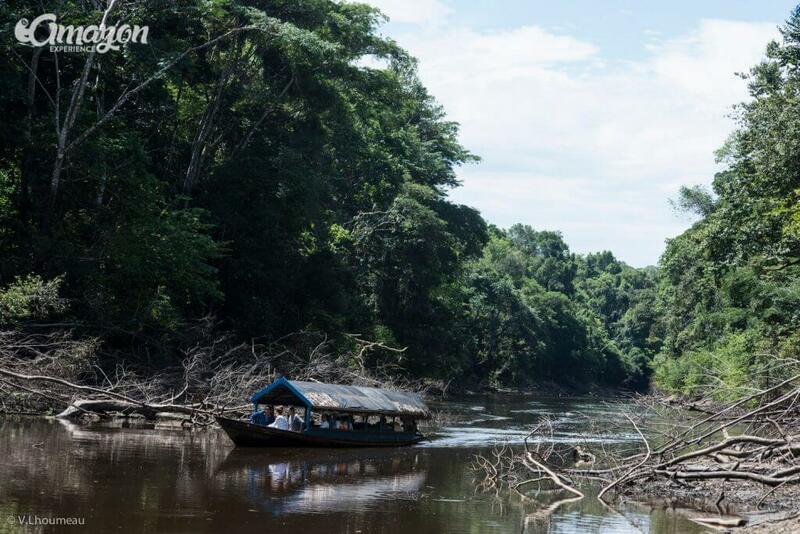 We are in the process of updating our tours in the Amazon river to include this destination. If you wanna visit them just send us a message. 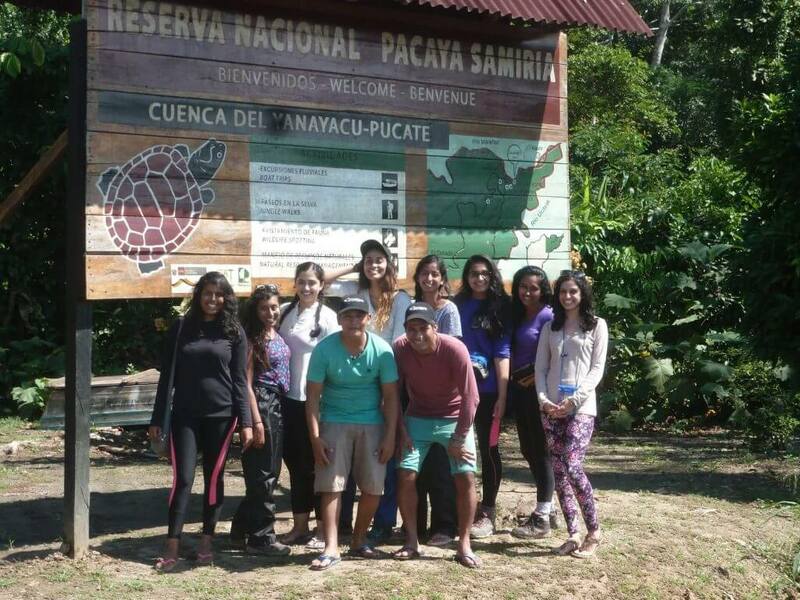 We strongly believe in the development of communities throught practices of self leadership and sustainable eco tourism. That’s why we support them. 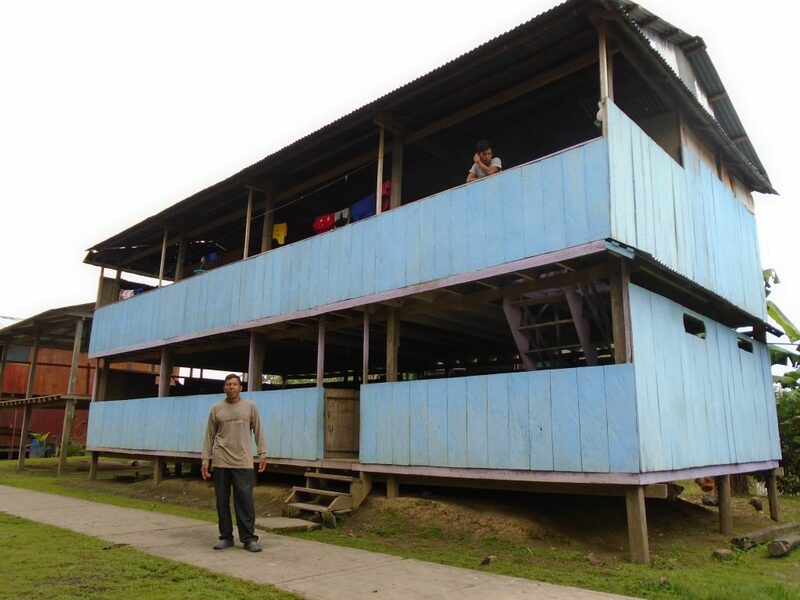 This is the first post of a series showing some perspectives from Amazon rainforest people.